“I was surprised to see my small project in Eindhoven appear on CNNs website. I guess the progression of the 3D printing technique caught the medias attention. But I hope it’s also because we did a great job at designing a place where many people would love to live!” said architect Jelle Houben at last weeks EHV Innovation Café. 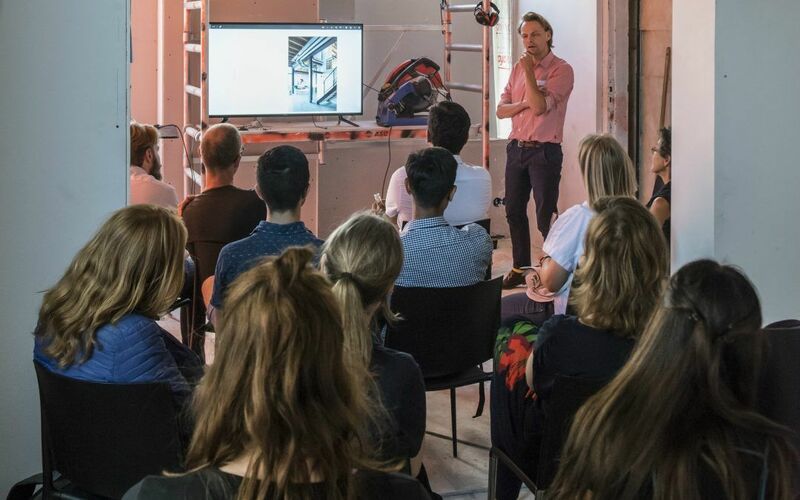 His presentation about Project Milestone, the world’s first commercial housing project based on 3D-concrete printing, was held at the construction site where Kazerne is currently developing a hotel, fine dining hotel and multifunctional event spaces. Attendees also got a short tour of this renovation project by creative director Annemoon Geurts.